Continuing a 27-year tradition, NAIA’s annual conferences focuses on a topic of great importance to animal professionals, advocates, and enthusiasts. This year’s theme is “Uniting to Save Our Endangered Breeds.” The conference will be held in Orlando, Florida, October 26th – 28th 2018. Registration includes all presentations, meals, and special events. There is an early-bird rate for registering until August 31st 2018. Click here to register. Continuing a 27-year tradition, the National Animal Interest Alliance (NAIA) is presenting our annual conference on a topic of great importance to animal professionals, advocates, and enthusiasts: “Uniting to Save Our Endangered Breeds.” Dogs, horses, and birds remain very popular with the American public, but the number of purpose-bred animals (breeds and species) available from traditional U.S. sources, is in steep decline. Purebred dogs, whether produced to be pets or working partners, are being replaced by mixed-breed rescue dogs, the bulk originating at a distance from where they are ultimately sold: some from as far away as China, South Korea, and the Middle East. Nearly 40 years of anti-breeder propaganda and ill-conceived legislation, coupled with a neutering rate of 85% among household dogs, have resulted in a shortage of American-bred dogs. The loss of basic husbandry knowledge in modern America allows misinformation campaigns and the resulting ignorance to dominate popular culture and misdirect public policy. Horses face similar, as well as additional, problems relating to continuing urbanization and lifestyle changes. Exotic bird breeding in the United States is further challenged by the misapplication of the Endangered Species Act, as well as propaganda from retail rescue and extremist groups. As difficult as our current situation is, though, it is still possible to reverse the trend if we organize to confront the challenge head on now. 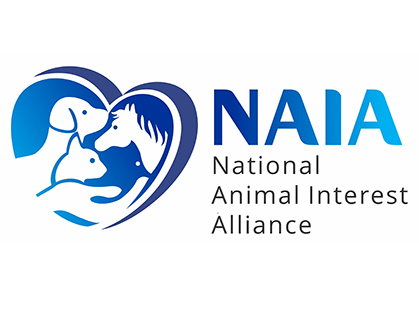 NAIA’s grassroots supporters and colleagues have the expertise, dedication, and love of animals needed to succeed. So this fall, please answer our call: come to Orlando and Unite with us to Save Our Endangered Breeds! Posted by chesliepickett on Aug 28 2018. Filed under Featured, The Buzz. You can follow any responses to this entry through the RSS 2.0. Both comments and pings are currently closed.